Duplicate burial next to mother ? Frank Houghton married Ellyn (?) in before 1904. Ellyn (?) married Frank Houghton in before 1904. Benjamin B. Houghton married Calista C. Bolster in Apr 2, 1850 at Londonderry, Windham Co., VT, USA. Mary Ann Esterbrook married Harvey Houghton, son of Samuel Houghton Jr and Polly Chamberlain, in Aug 15, 1838 at Brattleboro, Windham Co., VT, USA, 'Harvey Wife Mary A. Esterbrook dau. of James, p. 133'; also Jul 4, 1938. Marriage Mar 12, 1862 Wilmington, Windham Co., VT, USA, Brattleboro, also. Johanna Elizabeth Houghton married Benjamin L. Johnson in Dec 2, 1840 at Guilford, Windham Co., VT, USA. Johanna Elizabeth Houghton married Moses Kilby Fox in Mar 12, 1862 at Wilmington, Windham Co., VT, USA, Brattleboro, also. 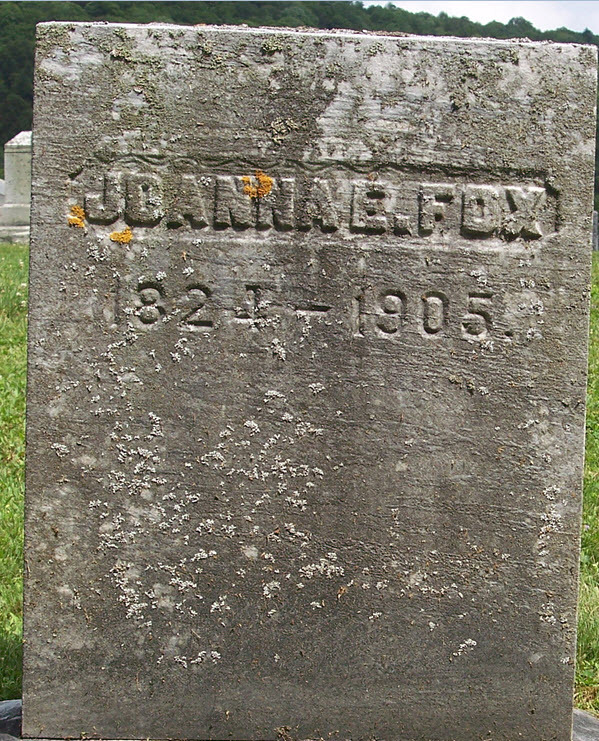 Moses Kilby Fox married Johanna Elizabeth Houghton, daughter of Eli Houghton and Elizabeth White, in Mar 12, 1862 at Wilmington, Windham Co., VT, USA, Brattleboro, also. Lydia Stratton married Nahum Houghton, son of Solomon Houghton Jr. and Martha White, at VT, USA, w/2. Nicholas Charlet married Catherine (?) in before 1639. Sarah (?) married Richard Haughton in before 1638 at Milford, New Haven Co., CT, USA, Torrey: 1/wf; Milford, CT/New London, CT; Bef 1639.